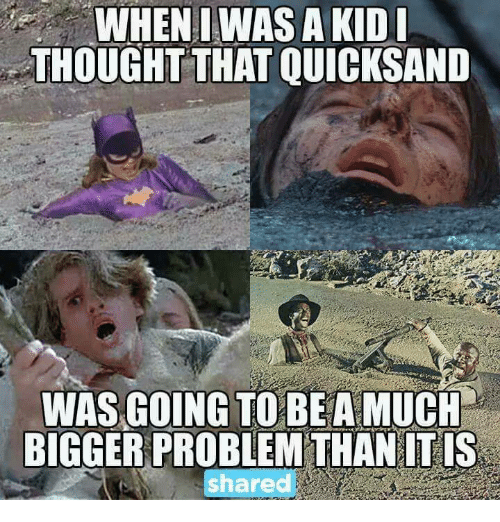 Quicksand probably doesn’t feature as a hazard in your life, but I fall into it on a regular basis. It’s simply life with Hashimoto’s disease. The body-walking-through-quicksand feeling is a common symptom of Hashimoto’s autoimmune disease (also called Hashimoto’s thyroiditis). It’s no exaggeration. Some days my entire body feels like lead. Walking to the corner of the street is like an marathon, and the stairs in my house take on Mt Everest proportions. Imagine you’ve just climbed Mt Everest – and now your kids are clambering over you, begging you to play with them. This is my reality as a Hashimoto’s parent. Some days I am totally fine. I can walk for miles, do 10 impossible things before breakfast, and have a very productive day. There’s usually no way of telling whether it’s going to be a great day or a quicksand day. Hashimoto’s is a mostly invisible disease, so you can’t tell by looking at me if it’s a good day or a bad day. On good days I have to take care not to do too much because I’ll pay for it the next day. And probably the next. I have to leave my weekends mostly free of plans so I don’t burn out – and that’s tough for an extrovert like me. I have to cancel plans a lot, because when I made those plans I felt great but when the day arrives I feel like a slug. It also means I can’t volunteer or help out like I want to, because I don’t want to be a flake and let people down. I also have the super power of sleeping for 10 hours and waking up tired, and getting insomnia. I can put on weight just by looking at a doughnut. My hair is thin and fine. I have trouble regulating my body temperature. I can feel cold while everyone is fine, and I also struggle to cope with hot weather. My joints ache almost every day. I often feel like I’m 90 instead of 42. I occasionally have the brain of a 90 year old, where I can’t think clearly or find the right word. I have periods where I am totally fine for months and months, and periods where I can barely function for months and months. I lose heaps of weight during the fine times, and then put it all back on during the not-so-fine times. My thyroid function is always on a knife edge. It takes very little for it to get all quicksandy, and my medication can require a great deal of fine-tuning. I have to take Mr G to my doctor’s appointments, because I am not taken seriously otherwise. Just having him there to back me up, has hugely improved my treatment. If unaccompanied, when I complain about being tired and sore I am immediately screened for depression by doctors. This is despite being a Hashimoto’s patient with Hashimoto’s symptoms. Which include tiredness and aching muscles and joints. As you can imagine, Hashimoto’s can make parenting really, really hard. Some days my kids watch way too much TV because I have zero energy to do anything else. My kids are used to me telling them to ‘get off me!’ because their clambering on me is excruciatingly painful. It’s especially hard for my son, who likes to show love with body slams. It’s difficult to be a kind and patient parent when you are so, so tired or in pain. It’s heartbreaking to have to cancel a fun trip because you’re just not up to it, or watch from the sidelines as the rest of your family plays because your oomph is used up for the day. It’s also hard to be the partner of a Hashimoto’s sufferer. Many marriages fail, especially if Hashimoto’s has developed after the marriage. You are quite literally not married to the same person anymore. Your partner (mostly) looks fine, yet lazes around all day. They’re grumpy, tired and not pulling their weight. Which has almost certainly gone up, by the way. Pretty grim huh? It doesn’t have to be. Accept that you have it, and that you may never function as you used to. This was key for me. I spent years trying to carry as normal, berating myself for being lazy or stupid. My poor body couldn’t cope with the frenetic pace I expected to keep, and I ended up with a bad case of burnout, on top of the Haashimoto’s. Once I accepted that I had this disease and therefore needed to change how I lived, it became sooooo much easier to manage my condition. …Make up for it on the good days! If I’m having a great day, then chances are I’ve taken my kids out or done something really fun with them. These are the days for spontaneous picnics or parties, for nature walks, jumping on the trampoline, and letting the kids stay up past their bedtime to play spotlight. Keep a list or a Pinterest board of things you could do the next time the stars align and you’ve got both a good day and time on your hands. I may be Slug Mum at times, but I’m also Fun Mum too. Rest whenever possible. Even when I have had a week of feeling great, I avoid the temptation to rush around like a headless chicken doing all the jobs I had to put off on bad days. Before Hashimoto’s I could function solidly all day. Now I do my most physical jobs in the morning, so I have the afternoon to chill out. And by chill out, I mean you’ll usually find me writing on the computer/picking my kids up/pottering around in the kitchen. I’m a stay-at-home parent, but many Hashi’s folks hold down full time jobs and don’t have this luxury. If you are working, think about how you structure your day to maximise your productivity during the hours you have the most energy. For me, it’s the morning. Also, if you have very small children I understand how rest is virtually impossible. If your Hashimoto’s is giving you grief and you are the main caregiver of an infant or toddler, I strongly suggest you get some kind of care for your child. A morning or two of childcare a week could help you function better. Don’t compare yourself to non-Hashimoto’s parents. Just don’t. Sure, they’re tired and bleary eyed too, but they probably aren’t feeling like an octogenarian either. Find your tribe. There are loads of Hashimoto’s support groups on Facebook and elsewhere. It’s really important to be selective, because Hashimoto’s can vary greatly from person to person. One person can be on the same dose of medication for 30 years and function reasonably well, while the next person can barely make it to the letterbox. If I had a dollar for every person who told me their cousin/grandma/tennis partner/twelfth-cousin-twice-removed had Hashimoto’s and drank chamomile tea/only ate lemongrass/used organic leeches/imported pure oxygen from the Arctic circle and felt terrific, I’d have, well… a chunk of money. Sure, give things a try, but hold them lightly. What works for cousin Ethel might not work for you. These groups are also a godsend when you wonder if [insert weird symptom here] could be because of your Hashimoto’s. Chances are if you ask online you’ll soon have hundreds of people saying ‘Yep, me too’. Let me give you an example: A lesser known symptom is a blank facial expression (I have no idea of the science behind why that might be). I am frequently described as ‘calm’ by others – despite being nothing of the kind, and people who don’t know me well often stop to explain “That was a joke” if they’ve just said something witty, despite me being well aware and responsive to their joke! Eat well. Many Hashimoto’s sufferers find relief by making dietary changes, like giving up gluten and nightshades. The AIP diet is popular and has helped some people go into remission. Plan for bad days. Help yourself and your family out by having meals at the ready in the freezer for the days you have no energy to cook. Stash some DVDs or download some movies your kids haven’t seen to keep them entertained. Have understanding friends and relatives on speed dial. Educate your kids. As your children get older, share what it’s like for you to have Hashimoto’s. Kids are great observers but very poor interpreters. Your failure to show up to their dance recital might be taken to mean you don’t love them. Once they understand, they’re more likely to cut you some slack and not take it personally. You can then hate the disease together and have a victory ice cream on your good days. 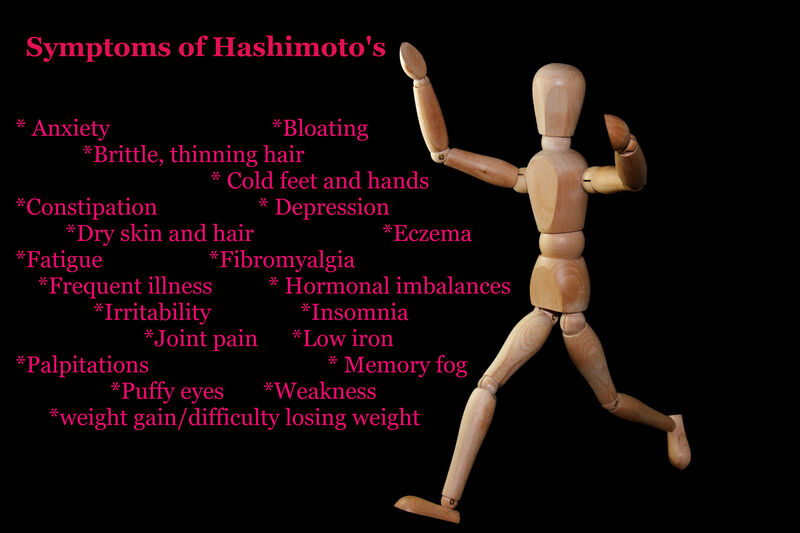 Hashimoto’s also has a genetic component to it, so it’s important they know what to look out for. Be your biggest supporter. Because Hashimoto’s is a (mostly) invisible illness, some people will think you are lazy or a bad parent. Screw them. They don’t know what it’s like to walk a mile in your quicksand-filled shoes. You are NOT lazy. You are fighting a disease that affects pretty much every cell in your body. Box on, friend. Keep perspective. On my bad days, I tell myself there are so many people out there who have far worse things than Hashimoto’s. And I’m grateful for the things my body CAN do. It’s a bit Pollyanna, I know, but it helps.